There are some specific products I provide as part of my consulting. Please ask for examples. E-newsletters. - The number one way to get more revenue from existing clients. £375 per month including content. 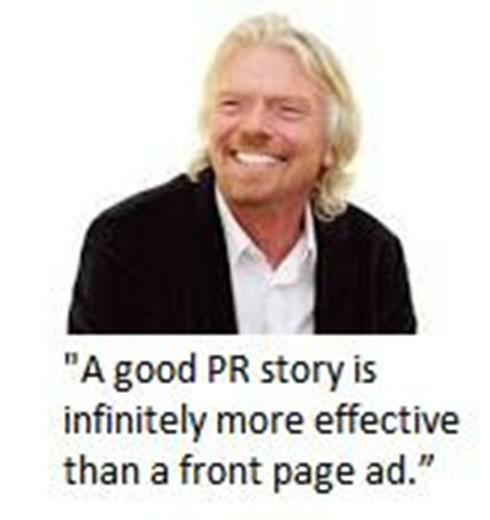 Public Relations is used by thousands of successful companies. In this article you’ll discover how it works. You will also understand whether it’s right for you. Anyone can buy advertising space. But when an independent source such as a newspaper, radio station or Google says you’re good – then people trust that source more than an advertisement. Number One; You have to know who your target market is so that you can make sure your potential buyers and existing clients get the chance to read about you. Number Two; If you don’t fish in the right place, then you won’t catch fish. Where do you perfect clients hang out? What do they read? What are they searching for with Google? That’s the second part to get right. Number Three; Getting the right message across is crucial. What exactly is it that you want to say to your prospects? What’s the best way of doing this? E.g. statistics, case study, human story? Let’s face it, hardly anyone really knows how to do Public Relations. If they did then everyone would be doing it because it is extremely powerful at generating clients. So don’t beat yourself up about it. The good news is that you are looking seriously at this subject. There are 3 ways of doing public relations; you do it yourself or you hire someone to do it for you or you can get PR King to do it. 1 Doing it yourself is possible. You can find a standard press release template, come up with an engaging headline and story, write it and send it to your contacts. You can also publish it on your website and email newsletter. The only problem with this is that it takes time, effort and you’re probably focussing on other things. 2 Getting someone else to do it. For most businesses, getting someone to do the publicity is a better option. However, let me warn you about this. Firstly it can be costly, (typically agencies can charge £1000 a month as a standard retainer, even for a local business). Secondly, there’s no guarantee that an agency will get you the desired results. PR King is new. We write the press release for you and distribute it to relevant news organisations that your clients read and listen to. Perhaps crucially, we guarantee Google results. And all this is done at a cost 1/3 that of a local PR agency. You might like to know why PR King guarantees results? There is nothing worse than throwing money down the toilet on advertising that doesn’t work. Or paying a PR agency to do something that gets zero results. We know that and hate it as much as you do. Our integrity means we cannot offer a sub-standard service and we expect to earn people’s trust. We are building our business by helping you build yours. We like to sleep soundly at night. Whilst we cannot guarantee certain newspapers or magazines publish our press release for you (after all, that’s what makes them powerful when they do get published) we can guarantee Google results. What this means to you is that PR King will get your Public Relations message on to Google. For example, if you want to be found for “best solicitor in Reading” we will get you on to Google for that term. It may take a few weeks for us to do it – but we will. How Do You Know That Your Public Relations Turns Into Clients? 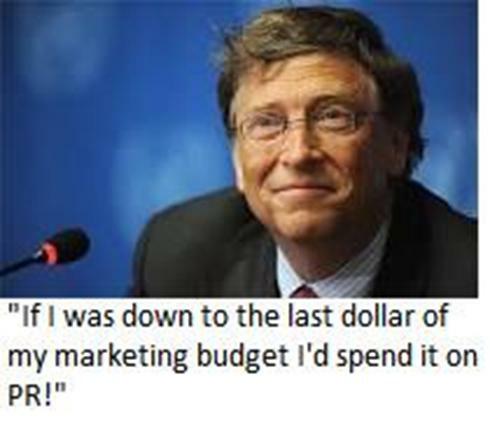 Whenever you invest any money in your business you want to know that it works for you. Measuring the return on investment means two things. Firstly the direct number of calls and emails you get from clients. Secondly, the longer-term benefits you get of building a brand. Measuring calls and emails is fairly straightforward. PR King can organise this for you with trackable phone numbers. These numbers are only used in your Public Relations so you know the calls you get come from the work we do for you. Building your brand means that people will think of you in a certain way. The ideal way is that they believe you are a quality business to deal with. They will pay higher prices to do business with you and also be more inclined to recommend you to other people. 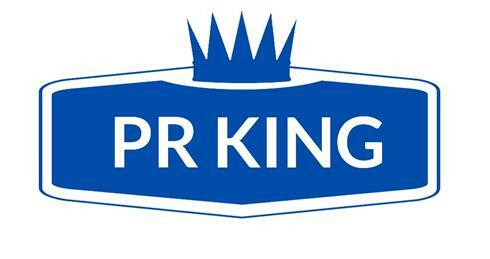 What Exactly Do You Get When You Sign Up To PR King as my Public Relations Manager? We will be helping you in a number of ways. Firstly, we’ll make sure you know your target market, what you want to say to them and how you want to say it. This will be by an initial interview on the phone. We will then get a plan together with you for a Public Relations campaign over a 12 month period. This will be around 6-8 press releases that we will write and distribute to the right media. We will also rank these press releases for Google . We have found this to be the optimum number for quality purposes. If you want us to, we will track the phone calls you receive as well as basic statistics on how many times the press release has been viewed. PR King is the only public relations service that guarantees results and measures actual calls being generated for your company. Because PR King is so unique, there are specific types of business that sign up. Businesses that have tried Public Relations before but it hasn’t worked. Businesses that are nervous about taking the first step into Public Relations and want an expert to do it for them and guarantee results. PR King is the right service if you are in any of the above categories. As well as the guarantee of Google results there are also a number of other benefits from PR King. If you have a list of clients and their email addresses or their mobile phone numbers it’s easy to send the PR King press release to them. If you don’t know how to do this we will send your press release to your list for you for a small charge to cover our costs. You just have to select this option when ordering the PR King Service. This means it has never been easier for you to retain your existing clients and get more sales and referrals. Just sending your press release to your own list of clients is likely to cover your investment in PR King. How Do You Sign Up for PR King? If you want to be a member of PR King we make it easy. Getting more clients with PR King is easy. Alternatively call us on 0118 968 0935 if you would like us to send you an invoice. As soon as you join we will make contact with you initially be email to set up a phone appointment. On this call we’ll put together our idea for the first press release and learn more about your business. It will take about 20 minutes or so. Then we’ll write the press release, distribute it, track it and report results back to you from Google. The first time we do this together will be your chance to ask us any questions and discover how we work on your behalf. P.S. This service is only available to you at this rate because you have received a special invitation to this page. We cannot guarantee this rate will be here if you return to this page in the future.